Fueled By Ramen recording group Paramore is celebrating the release of their acclaimed fifth studio album with a wide-ranging storm of international activity. The GRAMMY Award-winning band’s first new album in more than four years, After Laughter is available now at all retailers and streaming services. After Laughter includes two recently released songs, “Hard Times” and “Told You So.” The official “Hard Times” companion video is fast proving a sensation, earning more than 25 million individual views at YouTube alone in its first month of release. In addition, the colorful “Told You So” companion video – directed by Aaron Joseph and Paramore’s own Zac Farro – has drawn over seven million views in just two weeks via Fueled By Ramen’s official YouTube channel. After Laughter will be celebrated with a series of high profile TV appearances, beginning Wednesday, May 17th with an outdoor mini-concert on ABC’s Jimmy Kimmel Live! (check local listings). Next, Paramore will perform “Told You So” on CBS’ The Late Late Show with James Corden, set for Wednesday, May 24th, followed on Friday, August 25th by a special performance on ABC’s Good Morning America as part of its star-studded 2017 GMA Summer Concert Series. Paramore – who kicked off their upcoming world tour last week with an intimate hometown gig at Nashville’s Exit/In – has just unveiled a long-anticipated series of North American dates produced by Live Nation. Dubbed “Tour Two,” the trek gets underway Wednesday, September 6th at Jacksonville, FL’s Moran Theater and continues through mid-October (see itinerary below). Highlights include shows at some of the world’s most renowned venues, including Los Angeles, CA’s Greek Theater (Tuesday, September 26th), Atlanta, GA’s Fox Theater (Monday, October 2nd), New York City’s Radio City Music Hall (Wednesday, October 4th), Toronto, ON’s Massey Hall (Friday, October 13th), and Nashville, TN’s famed Ryman Auditorium (Tuesday, October 17th). AT&T is sending customers to the front of the line for Paramore’s “Tour Two” tour. AT&T priority presale ticket access begins Thursday, May 18th at 10 am local time through AT&T THANKS program. As the official presale credit card for Paramore’s “Tour Two,” Citi cardmembers will have access to purchase presale tickets beginning Saturday, May 20th at 10 am local time through Citi’s Private Pass program. Tickets go on-sale to the general public on Wednesday, May 24th at 10 am local time via Live Nation. Paramore is working with Ticketmaster in an effort to combat bots and scalpers to get tickets into the hands of fans that intend to attend Tour Two. Due to the intimate size of the venues on this tour fans are required to register for a unique code using Ticketmaster Verified Fan to purchase Paramore Artist Presale tickets first before the general public. Registration through Ticketmaster Verified Fan will run from Monday, May 15th at 10 am ET until 10 pm PT. A unique code will be deployed to verified fans on Wednesday, May 17th, beginning at 8 am local time, two hours prior to the commencement of the Paramore Artist presale at 10 am local time. Fans who receive a unique code will have the opportunity to purchase presale tickets beginning on May 17th at 10 am local time during the Paramore Artist Presale, before the general public on sale on May 24th. The band has also just announced plans for the third installment of their hugely popular PARAHOY! vacation experience, an interactive four-day festival at sea presented in partnership with Sixthman Productions and Norwegian Cruise Lines. 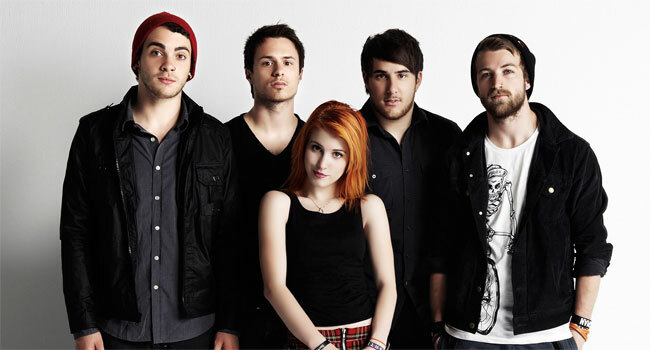 The cruise – a full charter aboard the spectacular Norwegian Jade – will feature a specially selected schedule of bands, activities, and truly unique Paramore live performances. PARAHOY! sails roundtrip from Miami, Florida to Nassau, Bahamas from April 6th through 10th, 2018. Apr 6-10, 2018 Miami, FL PARAHOY!